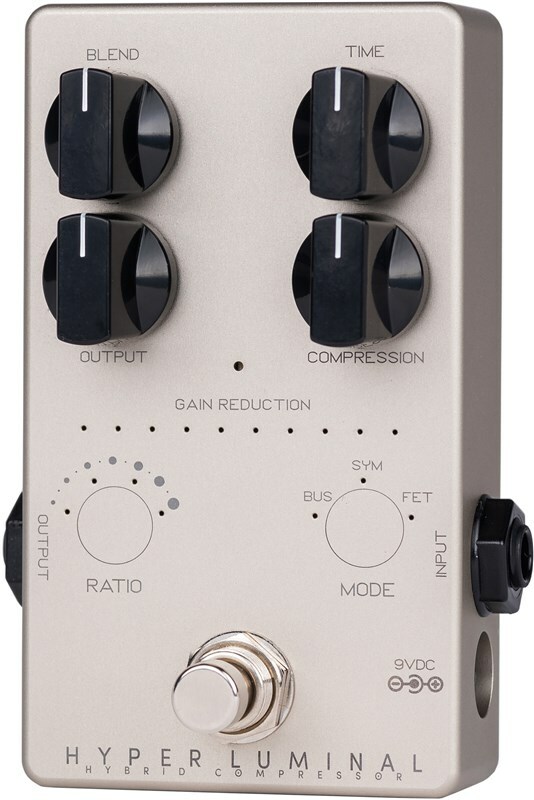 The Darkglass Hyper Luminal Hybrid Compressor - a new era in hybrid compression. At Darkglass Electronics, we have made it our mission to combine our analog expertise and signature sound with cutting-edge, digital technologies. Not to replace, but to enhance the sonic possibilities and intuitiveness of the next generation of Darkglass products. 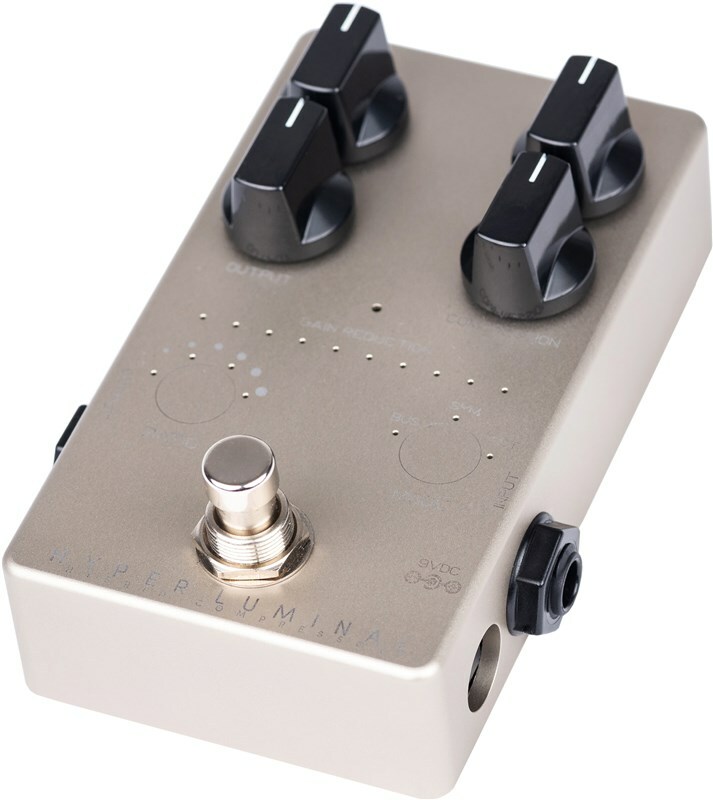 The Hyper Luminal Hybrid Compressor embodies this like no other pedal in the industry. By digitally modelling the side-chain circuits in some of the most legendary compressors in history, we were able to capture their essence and characteristic behaviour, all while keeping the completely pure and authentic analog signal path that Darkglass is famous for. FET: Inspired by the legendary UA 1176. But that’s not all! Instead of using mechanical switches (because let's face it, switches are boring), to select the compression Ratio and Mode in the Hyper Luminal Compressor we implemented touch-through-metal sensors. These sensors detect when and where the chassis is touched and changes parameters accordingly. This technology not only provides a very new, intimate and pleasant user experience, setting it apart from any other pedal on the market, but it does so while operating with extreme consistency and, unlike mechanical switches, is virtually unbreakable. 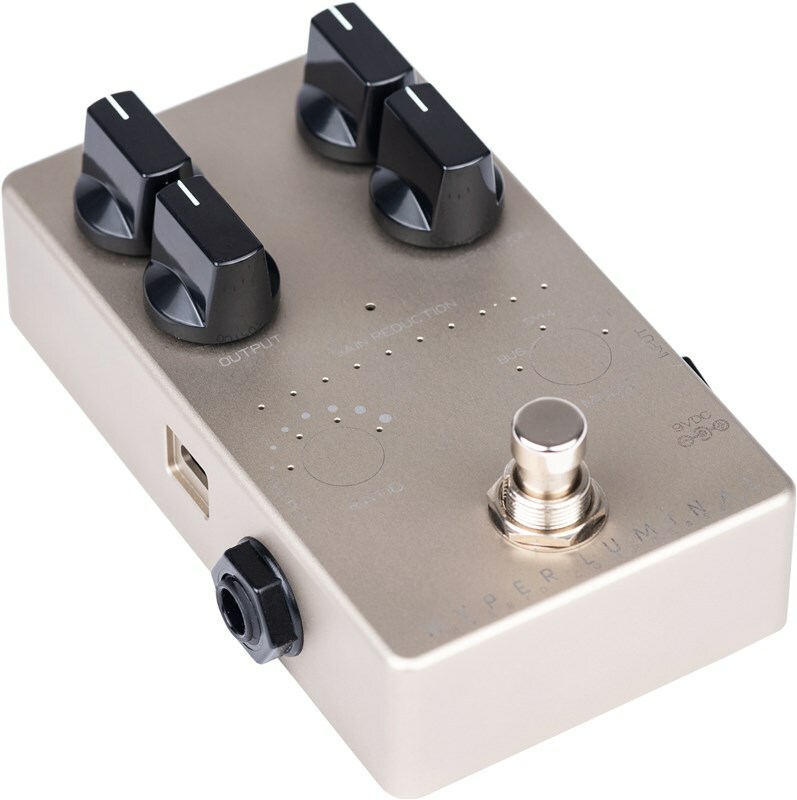 With the free Darkglass Suite for PC/Mac you can to connect the pedal via USB to load additional and upcoming compressor models, set Time settings and adjust other parameters. Time: Sets the time constants (Attack and Release). Fine tuning and mapping can be done through the Darkglass Suite, so you can assign different constants to each model. Compression: Sets the amount of compression. Although the Hyper Luminal runs at 9V, it doubles the operation voltage internally to 18V for extra headroom, so audio from even the most powerful bass preamp or line level signals like synths etc. will pass through crystal clear. 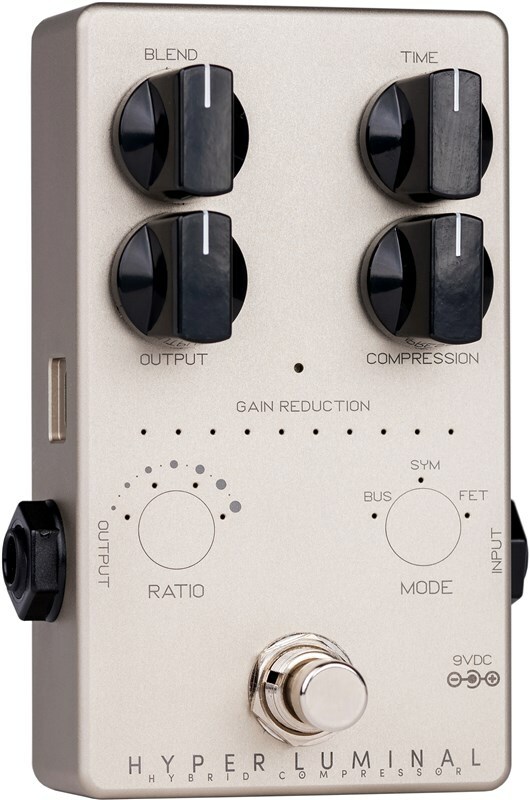 Designed for both studio and live use, Hyper Luminal Hybrid Compressor will take your compression to a whole new (smoothed out) level.